Finally the weekend - its been a hectic few weeks at work so the weekends are a breath of fresh air! I really need these breaks from work. As much as work frustrates me, I can't be too down on it since it is my livelihood. Without my job, I wouldn't have the money for my necessities and my occasional treats or splurges. This is where my most recent purchase comes in. 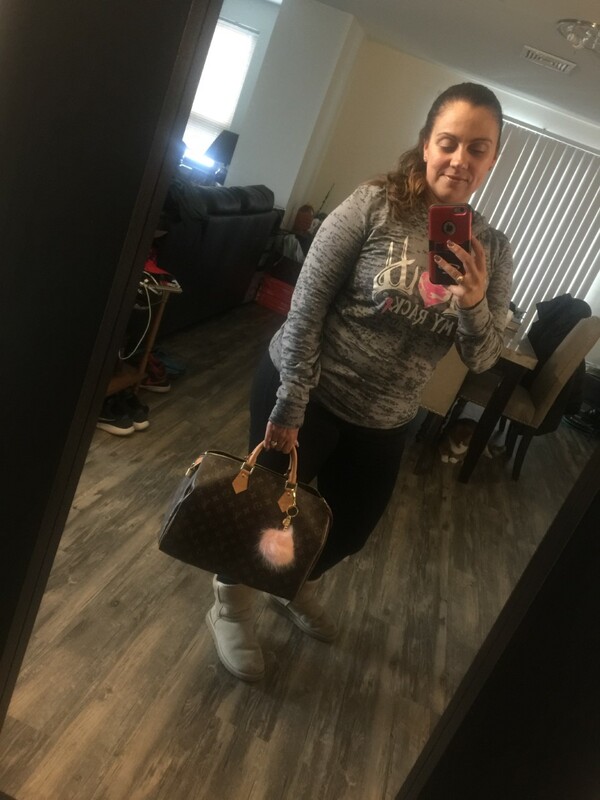 I've had a long time love of all Louis Vuitton handbags. I would have a huge collection of LV handbags if it weren't for the fact that they are soooooo expensive. I waited and waited many years, and this Christmas I saved some Christmas money to buy myself something. I had also discovered this site that sells pre-loved designer items. The site is Fashionphile and let me tell you, it is amazing. Fashionphile has everything and their descriptions are accurate. You can sell your fashion items to them or purchase from them. So I started searching for my first LV bag. 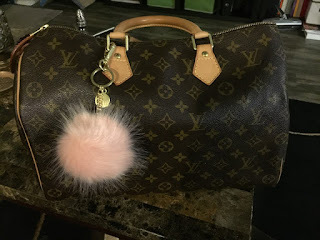 I love many other designers, but I knew that my first purchase had to be the LV Speedy 35. I searched and searched and finally found my bag. It was made in 2011 and the condition was listed as Very Good - the lock was included but no key. The other thing I loved was that it was available for layaway. The pictures on the post was the actual bag and it zoomed in at any imperfections. So, I put it on layaway. Once I finished paying for it, it shipped right away. I received it a few days later and I was so excited to open it up!! 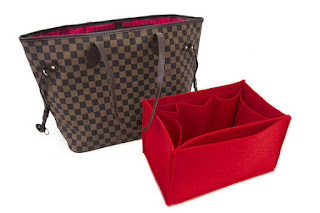 The bag didn't have the LV dust bag, but Fashionphile included their own. And here she is!! Gorgeous!! I got it a few weeks ago and tried it out but I didn't like how slouchy it gets with my stuff inside. I was also having second thoughts because I started feeling that it was too big. I heard about purse organizers and found this one on Etsy, so I bought it! It fit perfectly into my Speedy and today I used it for the first time & I totally love it. No more regrets - I love the bag, the size of the bag and the insert really helps. My things are nicely organized so they are easy to find and the bag doesn't get slouchy at the bottom. Did I mention how much I love the bag? Even though my mind is now making a list of other Louis Vuitton handbags I want, and trying to decide which one will be my next purchase - I will always keep an eye out for these other brands and my all time fave: Michael Kors. Do you like Louis Vuitton? Which style is your favorite? What other designer handbags do you like?